How Much Does Order Fulfilment Cost? If your looking for a standard rate for outsourcing your distribution so that you can focus on sales and lower your overheads. Consider what KeepSpace can offer as a 3PL Order Fulfilment centre for your and your growing business. Let us share our knowledge with you. We want to show not just our pricing, but also to help understand up-and-coming and growing retailers, ecommerce businesses and hybrids alike the debate of whether to outsource order fulfilment or not and how much would that entail. The 4 Primary 3PL Order Fulfilment Costs that you should be aware of. This is the accepting of a delivery such as a shipping container or pallet, verifying the contents, uploading to the 3PL system and warehousing of your inventory. Pick and Pack means going through the warehouse locating, selecting the items for delivery and packing the items according to the delivery orders. 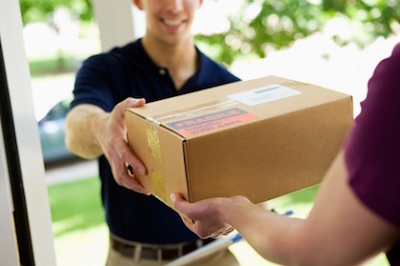 Shipping really means the inbound and outbound of an item. Inbound is when inventory would reach us and outbound would be when it leaves us to head to the customer. How Much can In-House Order Fulfilment Cost? 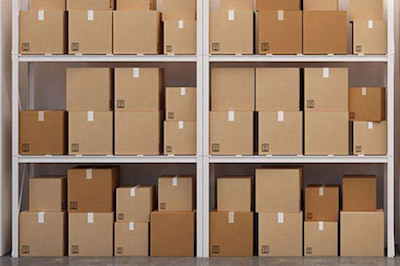 Fulfilment orders in-house does require having the space to store your inventory, a system to manage your inventory and orders, a process to pick out-pack and deliver your product to customers. In-house order fulfilment can work for any time of business be it retail, wholesale, brick and mortar or eCommerce. 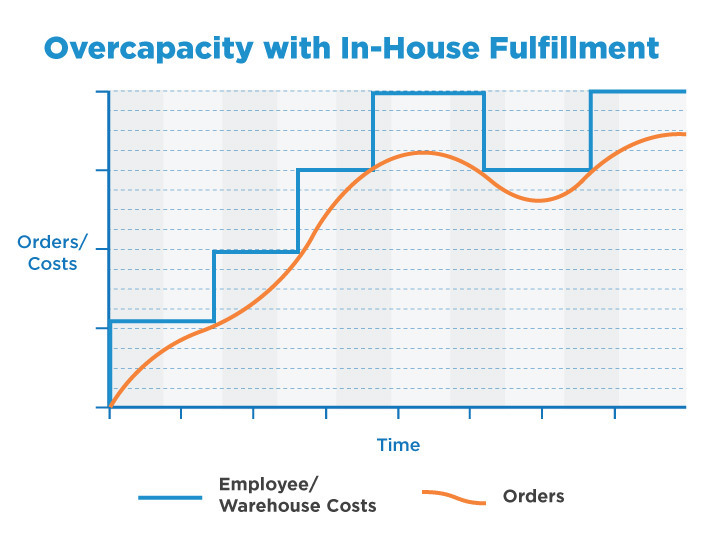 The largest potential cost of in-house fulfilment is the opportunity cost. In-house fulfilment does require a significant investment of resources and management oversight. That is time, energy and funding that could be directed elsewhere when these are so precious to start, grow and expand your business. Scaling challenges with In-House Fulfilment? A critical assessment to keep in mind is that the amount of space and number of staff you will need to fulfil your orders will change. An example for many small and growing businesses that have in-house fulfilment rates of around 10 orders per hour, per employee. As shown on the chart below. Once your orders exceed this level a new hire will be required to manage the increase in orders, this will create inefficiencies to your business. Another aspect is that with your warehouse it will be difficult to use 100% of its capacity 100% of the time giving un-necessary overheads. Should, God forbid, orders decrease during seasonal periods decrease in productivity can occur giving that your in-house fulfilment costs will grow in spurts. Considering outsourcing this process, you will see some beneficial factors. Number one is the work is more efficient as we are able to utilise a higher percentage of the warehouse. Dedicated staff work on processing 20 to 40 orders per hour, depending on the complexity, allowing a more effective process than average start up and growing business employees. 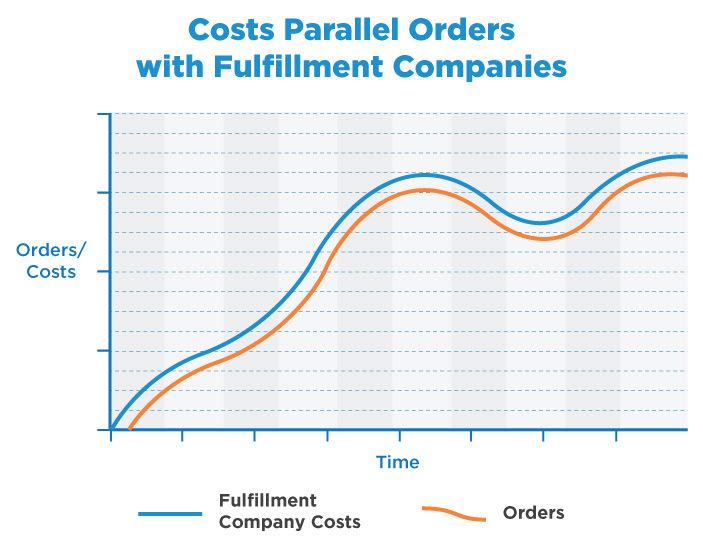 The cost of fulfilment companies stay in line with the range of order volume. This makes scalability to manage your variable cost much easier and ensures that paying for the right amount of storage each month. Paying only for the storage you are using and customer orders being fulfilled, you remove the problems of overcapacity and you find when you fulfil orders in house.